MIPCOM: The distribution and production arm of European satcaster Sky has added a new factual series fronted by adventurer Levison Wood to its sales slate. Sky Vision will be shopping Arabia: A Journey Through The Heart of the Middle East (working title) in Cannes this week after picking up the global rights. The show is a coproduction between Sky Vision and Blackmane Media, which is owned by Wood, and will be completed in early 2019. It is co-funded by Sky Vision, who acquired international rights via Blackmane’s agent, Wolfsong Media. 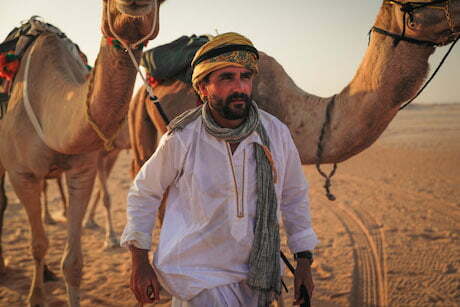 The new series sees the writer and photographer, whose expeditions have taken him around the world, exploring the Middle East on a 5,000 mile expedition through the most perilous region on earth – the Arabian Peninsula. Moving from Iraq to Lebanon, Wood’s mission is to immerse himself in the lives of locals and challenge the myths and stereotypes that plague this ancient land. Sky Vision has distributed a number of Levison Wood’s previous titles including: Walking the Nile, Walking the Himalayas, Walking the Americas and From Russia to Iran: Crossing the Wild Frontier, which were all shown on Channel 4 in the UK. Each of the four series sold to over 100 territories including France 5, RTL Netherlands, BBC Worldwide Channels Australia, Spiegel Wissen Germany, Servus TV (Redbull) Germany, DR Denmark, Blue Ant Canada and Discovery India.